Looking for an excuse to shop? We're already one step ahead of you with our weekly roundup of the best new arrivals from our favorite affordable retailer of the moment. This week, we are showering you with the overwhelming number of incredible products at Forever 21. Seriously, these new pieces are so good, we won't even have to convince you. 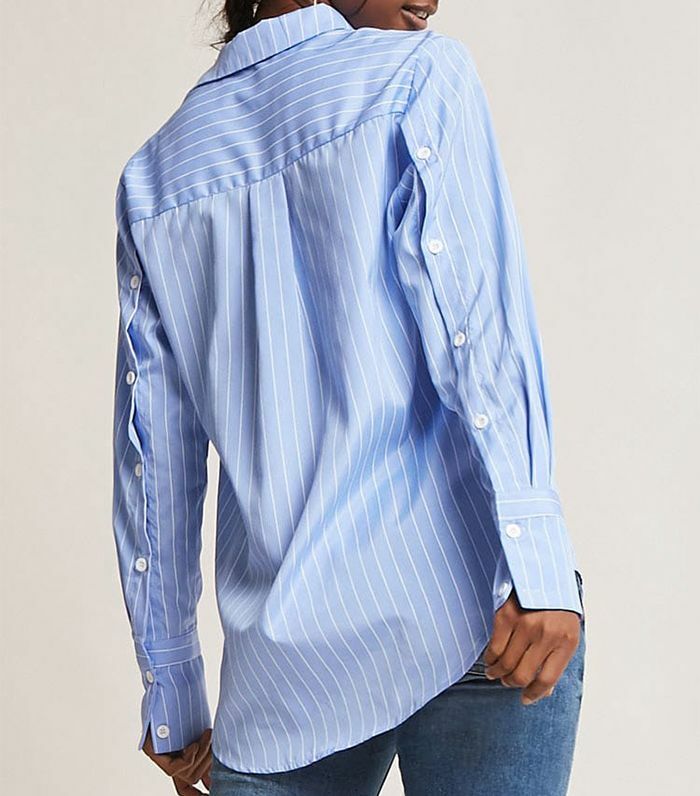 Looking for a cool updated button-down? Forever 21 has the coolest. Need some comfortable block-heel sandals to get you through the rest of summer? Forever 21 has the cutest. The list goes on and on, so instead of describing how great these Forever 21 new arrivals are to you, we're just going to show you. Go on to shop the incredible new products all found at Forever 21. You can wear this top to the office or with white jeans for the rest of the summer. Make berets your new accessory this fall (yes, you can pull it off). So cute with ankle strap heels, loafers, or sandals. These will look so perfect with a feminine wrap dress this summer. Such a romantic option for a date night or outing with friends. Double the hoop for a statement earring that's twice as cool. Create the most flattering waistline with this corset top. Such a chic vintage-inspired shape. Take these to beach with a high-waisted bikini and your copy of The Feminine Mystique. Equal parts feminine and stylish, modern and classic. Silk pajama-inspired tops pair perfectly with your favorite pair of denim. Only $13? Good luck not buying these. This top can be tied to the side or in front with a pair of high waisted pants or shorts. This duster will add an element of cool to your black jeans and T-shirt. An edgier piece to incorporate into your fall wardrobe. Trust me, you will wear these ALL the time. I want to wear these with a bright red hoodie and Nikes. Not your average wrap top. The open heel gives theses shoes a chic shape. Stand out among the tube-top-wearing beach crowd with this number. The perfect classic black bikini. Next up, shop 14 chic flats you can wear to work.